Lost in last week’s coverage of tariffs and trade deficits was the Trump administration’s landmark decision to confront China’s unfair and illegal practices that threaten our economic security. It’s the opening salvo of the key economic battle of the 21st century and part of a worldwide struggle the United States must lead. The Chinese government’s strategy to amass control of critical technologies while undermining the rules-based trade system built by the United States and its partners will be hard to combat. Exactly how the administration plans to tackle the task remains unclear. But the implications of that long-term project reach far beyond the short-term battle over tariffs or deficits now brewing between Washington and Beijing. 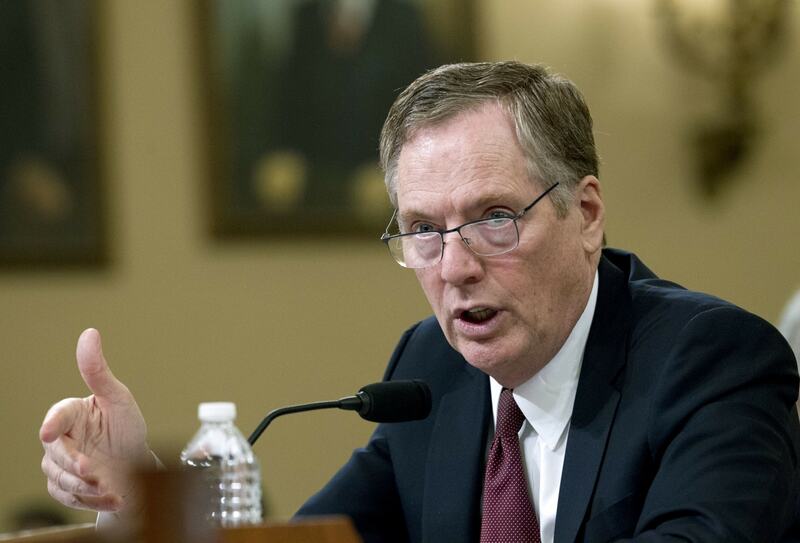 The Trump administration is now basing U.S. policy on a recognition that the massive scale of China’s technology transfer effort cannot be addressed with the usual levers of trade policy. That means the United States and other countries will have to respond with new tools and a new attitude. The administration plans new tariffs and will bring a case against China at the World Trade Organization regarding discriminatory licensing practices. But officials told me that the real game changer is yet to come, saying that the administration will soon announce restrictions on Chinese investment in a range of technology and other critical sectors. While the specific actions haven’t been finalized, expect executive actions aimed at preventing Chinese state-controlled companies from swallowing up U.S. technology firms, stopping U.S. companies from handing over key technologies to China and working to persuade other Western countries to do the same. The Senate is sitting on legislation to reform the Committee on Foreign Investment in the United States to cover new industries and fix loopholes. The administration is already increasing actions to prevent foreign firms from purchasing U.S. companies crucial to our technological infrastructure or that control personal information of Americans. Make no mistake, these are deviations from normal practice to single out China — for good reason. For one, Chinese firms are increasingly connected to the Chinese government, serve the political objectives of the Chinese Communist Party and are the beneficiaries of massive subsidies and protectionist benefits given by Beijing. In essence, China has politicized its entire economy. There was a belief that China would develop a private economy that would prove compatible with the WTO system. Chinese leadership has made a political decision to do the opposite. So now we have to respond. Given the stakes and risks, the next U.S. moves must be smart and strategic. If this really is the economic battle of the future, the United States needs allies in the fight. Alienating partners with tariffs on steel and aluminum at the start of this journey was a counterproductive distraction. European countries face the same threat from China but need to be brought along via positive U.S. engagement. Persuading them to join America’s new WTO case would be a good start. Overreach is also a risk. Some Chinese investment in the United States is positive, and defining which sectors to protect is key. The United States must not embrace protectionism for its own sake. Extreme ideas like banning Chinese students from American university science and technology programs feed the false notion that the United States is against the Chinese people. Our issue is with the Chinese Communist Party. There must also be a dialogue with Beijing to offer it the opportunity to change its behavior, abide by its international commitments and build reciprocity into the U.S.-China economic relationship. This new effort to prevent China from unfairly moving to dominate the industries of the future is complex, risky and sure to have unintended consequences that will have to be managed over time. But the future of our economy depends on its success.